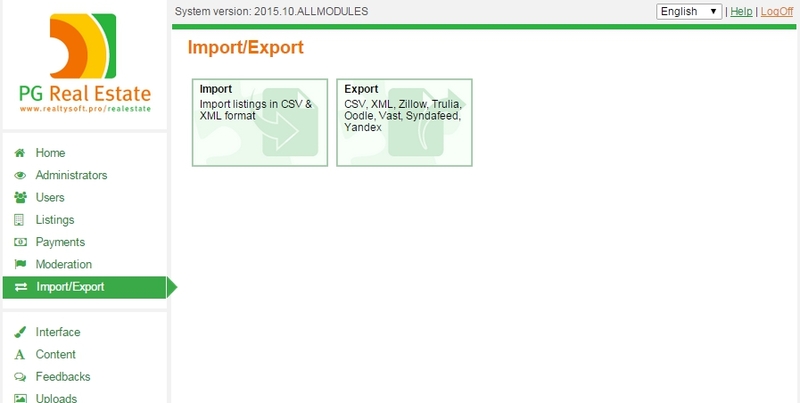 The Export module helps to export the content of site objects in specific formats. 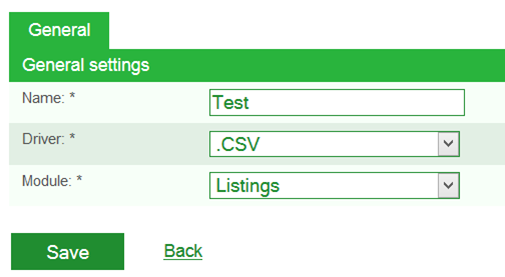 In default site functionality .csv and .xml formats are available. Also you have an option to purchase additional module to export site objects to major listing databases. It means you will have your listings automatically submitted to Trulia, Zillow, Oodle, Vast etc. 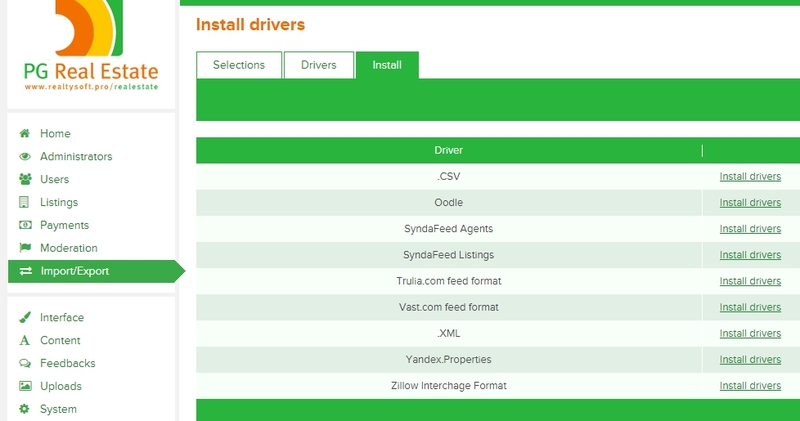 Drivers – all available export formats (.csv, .xml, etc.). Selections – samples/uploads, customized export formats. How to set export on your real estate site? Go to the Administrator panel > Import/Export > Export > Install drivers and install drivers that you want to use on your site. Fill in all the mandatory fields and press “Save”. 2) Custom fields – fields which are included in the uploaded file. 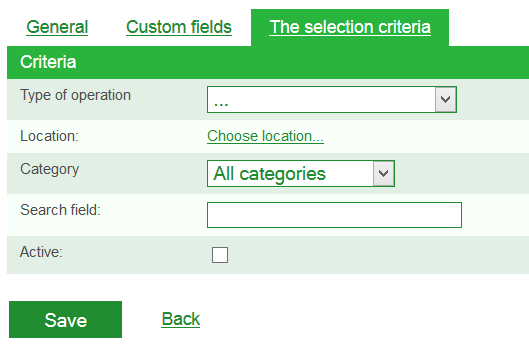 3) Selection criteria – is a filter for the exported data. How to export listings with URL’s?